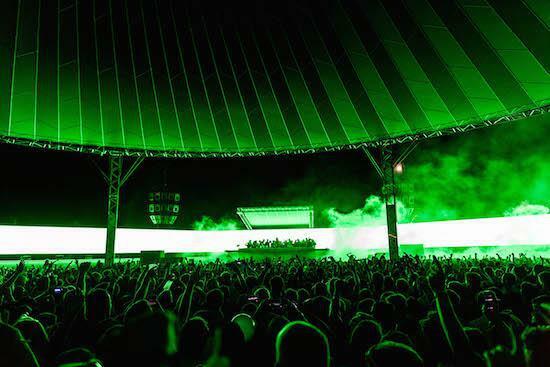 Dekmantel has announced full details of its extended opening concert programme for this year’s festival. Kicking off the festival on August 4, a number of acts will play special live concerts across four Amsterdam locations before the festival gets into full swing the following day at its main base of Amsterdamse Bos. Playing across the opening concerts will be Cabaret Voltaire; James Holden (with band), Tony Allen (with band); Azymuth; Raster-Notion featuring Byetone, Kangding Ray and Grischa Lichtenberger; Shackleton & Ernesto Tomasini’s Devotional Songs; Alessandro Cortini; Matias Aguayo & The Desdemonas and Burnt Friedman & Jaki Liebezeit. The concerts will take place at Muziekgebouw aan ‘t IJ, EYE, Bimhuis and Tolhuistuin. This year’s festival will also see appearances from Jeff Mills, Holly Herndon, Ben UFO, Helena Hauff, Digital Mystikz, Robert Hood, Ricardo Villalobos and many more. For the full line-up and to get tickets, click here.